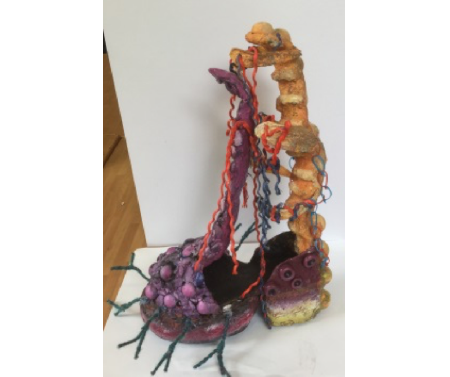 Students study a wide range of topics; they learn through a practical, broad and varied coverage of skills including drawing, painting, 3D modelling and textiles. The following topics may change in line with current issues and topical events. Students have a choice of disciplines under the Art and design syllabus (Fine Art, Textiles, Graphics, 3D Design or Photography). 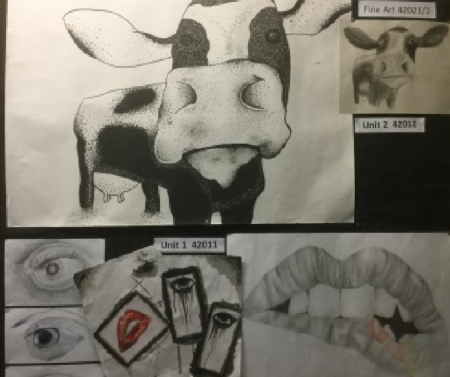 Students study a wide range of topics including subjects such as Portraiture, Close ups, Art and Words and from which they choose an area of personal interest to follow towards the end of year 10. 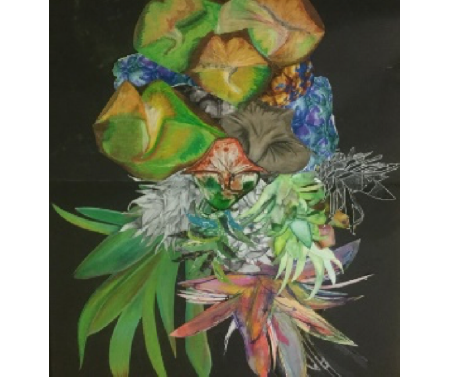 We currently are following the AQA Art and Design syllabus however, some students may be more suited to Cambridge Nationals Art and Design (short course). All work completed in class will go towards your GCSE and, in the AQA exam, accounts for 60% of the total GCSE mark; this is alongside an exam in the form of a mini project set by the exam board. The syllabus follows a logical course of research, planning and developing through experimentation to produce a final piece showing your ideas. Work must also be annotated to explain thoughts and ideas clearly. See our Pinterest boards @ ‘Larches Art’ or email e.little@larches.lancs.sch.uk.